A quick disclaimer to begin with. 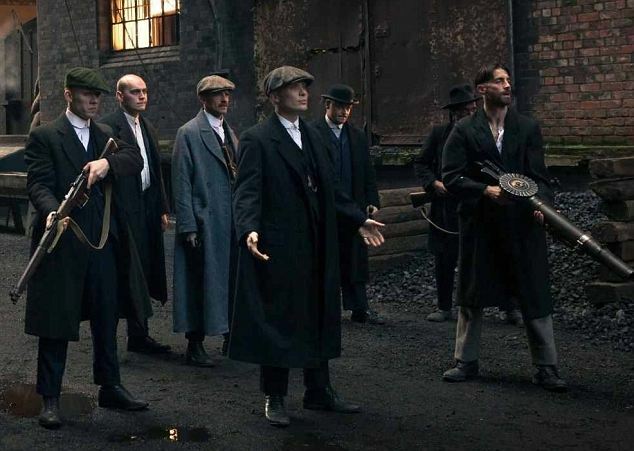 I do not propose to get involved in the debate over the accuracy of the Brummie accent in Peaky Blinders, the stylish interwar gangland drama broadcast on BBC2 earlier this month, that exercised a number of tweeters. As someone whose accent hovers around the oddly mid-Atlantic, and has, mortifyingly, once been compared to that of Lloyd Grossman, I am in no position to make any comment on anyone’s accent. Nor is this post is not going to be, strictly speaking, a historical critique of the drama. I am not a historian of crime and that sort of critique has been done already by those who are, notably Heather Shore in this blog post. That being said, as a historian of the First World War, I was always going to be interested in a drama set in the war’s immediate aftermath, and there were an unsurprising number of references to the conflict. The only one I took real issue with was the incitement to strike in the first episode, where men’s war service was used as a reason for striking. Now, the injustices of the failure to find a land fit for heroes on demobilization was certainly a cause of labour unrest in the 1920s. What was less convincing was the purported date, 1919. I find it hard to imagine that a significant number of working-class men had been demobilized, rehired and were already prepared to strike at that date. More plausibly these men would have been on the verge of riot in a camp in France, chafing at the delays in demobilization. But it was only in the final episode that I felt I was being beaten about the head by the fact that this was a post-war drama and that war experience was at the heart of character’s attitudes and actions. That it should be so is no surprise. This was the episode where the Peaky Blinders, under the command of their wartime leader, Tommy Shelby (Cillian Murphy), went into defensive battle against Billy Kimber (the fantastically spivvy Charlie Creed-Miles) armed with that key weapon of First World War battles (at least in the popular imagination), a machine gun. The references were inevitable. Then there is Ada Shelby’s appearance, in widow’s weeds and pushing her infant son in a pram (an extraordinary image that I want to think about further in terms of what it says about domesticity and respectability), bringing to mind ‘the pallor of girls’ brows’ that was, for Wilfred Owen, the pall of young men dying in battle. And finally, in the culminating moment of battle, when Tommy Shelby single-handedly kills Billy Kimber, I thought I saw a look of recognition pass across Murphy’s. By this time I was so attuned to potential poetic references that all I could think was ‘Oh, Strange Meeting, of course’. Now, I have no way of knowing if Murphy read any Wilfred Owen when researching the part of Tommy Shelby, or if the director Otto Bathurst is familiar with ‘I Have a Rendevous with Death’, not one of the better-known poems of the war, though it should be. My associations may simply be an over-sensitivity on my part to any poetic reference in relation to the war, an unfortunate aftereffect of studying the war and its culture for too long. But the fact that the references are there, even only subconsciously, tells me something about the power of these poems to speak down the generations in their representations of an emotional truth about war, violence and its aftermath. Dramatically, this is how our culture understands the war and its aftermath, the images that it associates with this bit of history. This is a fact that those of us who argue that there is far more to the war than ‘the mud, the blood, the endless poetry’ must come to terms with in our attempts to convey what else history has to tell us about the First World War. That there are emotional as well as historic truths to be acknowledged. The continued power of war poetry is that it taps into the sense of being ‘of all time’, speaking as powerfully to us today as it did to those who read it when it was first composed and published. This does not make it the only narrative of the war, but it does make it a significant one. 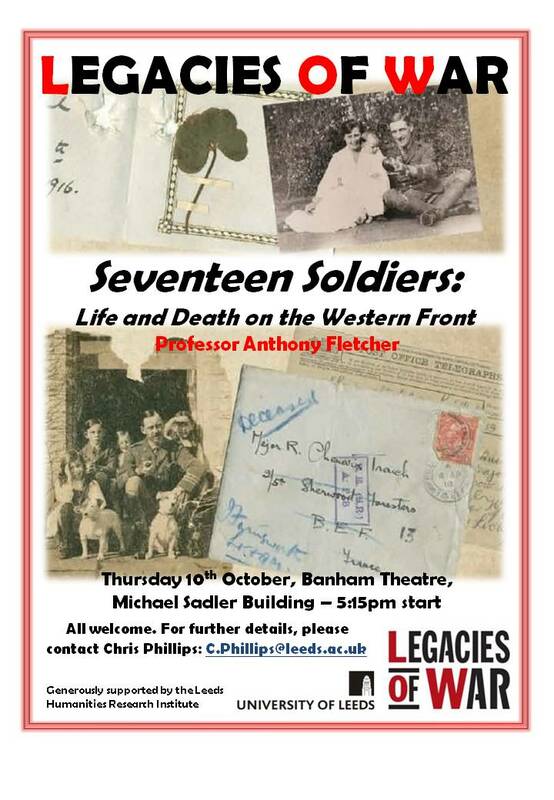 And if we stay attuned to these references, in whatever unlikely scenario they pop up, not only will we be able learn more about the place of the First World War within our cultural heritage, but we may also have an excuse to quote some very moving and beautiful poetry. [i] Alan Seeger, ‘I have a rendezvous with death’, http://www.poets.org/viewmedia.php/prmMID/19396, last accessed 28/10/2013, 15-24. So, it is the first week of October and I find myself faced with a series of deadlines for pieces of written work. In the next two months I need to give a conference paper on voluntary medical services during the First World War, complete an encyclopedia entry on subjectivity and emotion in the British armed services and submit a preliminary application for a grant. All three are fairly major, if short, pieces of writing for important and potentially (at least in the case of the encyclopedia article) extensive audiences. They also all need to be constructed in different registers – one to be delivered verbally, one with objectivity (about a highly emotive subject) at its core and one aimed at a non-specialist but nonetheless highly erudite audience. This is going to be a unique challenge for me, both in terms of tackling new forms of written work and new research ideas, and in terms of the amount of work and flexibility that is going to be required of me. I have been thinking about them all for a considerable period of time, including writing outlines, but it is only this week that I have started putting pen to paper to flesh out my ideas. Already I have found myself coming up against questions about how I organise my ideas and my time. Today’s experiment involves using very short periods of time to work intensively on several projects in rotation. Next week, when I have scheduled a day in the library to flesh out my references, I will be able to compare my productivity with a day spent concentrating on just one piece for a more extended period. It will be interesting to see how things turn out and to see what approaches work at different stages in the writing process.